This game is sure to please! Create over 50 roller coaster designs, including the traditional wooden roller coaster, the high-tech Steel Corkscrew, and the terrifying Reverse Freefall, all featuring accurately simulated motion dynamics. Fund the research, and you will get the greatest rides current technology is capable of building. Then, charge top prices to your visitors. 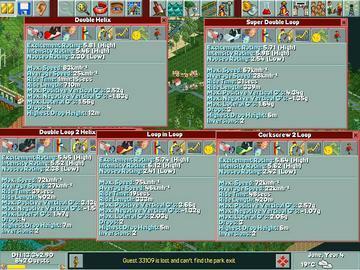 RollerCoaster Tycoon gives you the ups, but also the downs: Why should people come to your park? Are the rides too expensive? Have you built enough food stalls? Do your amazing rides have a habit of breaking down too often? Climb or fall, boom or bust, you are in charge of it all, making sure the rides are safe, finding out what your guests are thinking, and giving them what they want for the right price. 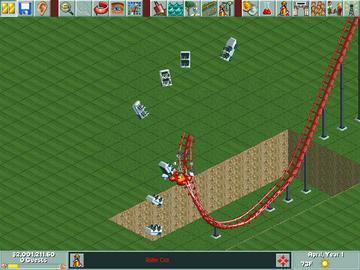 Design and construct your own rollercoaster rides or choose pre-build designs. 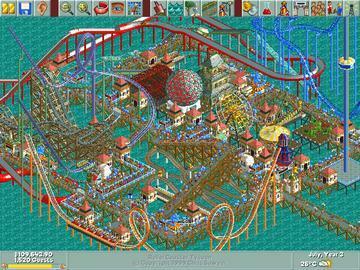 Do you have what it takes to create the ultimate amusement park? 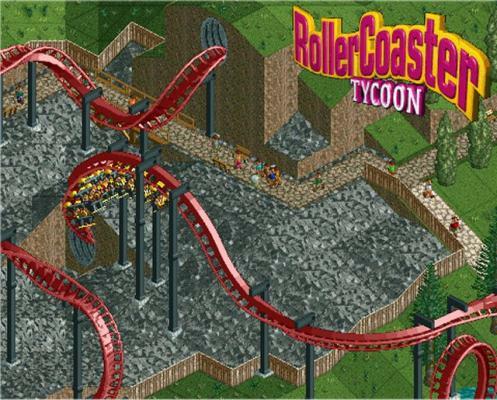 RollerCoaster Tycoon is the first build/management simulation that's as easy to use as it is powerful. Customize your amusement park right down to the last detail. Try it!